The FMCK includes 4 front mount antenna cables with female TNC connectors on one end and a bulkhead male TNC on the other end. The Electrovoice EM-D Dual Rackmount Kit is designed for rack-mounting two RE-2 receivers as well as FMR-500 SAFE-1000 and other older half-rack receivers. This kit comes complete with all the required screws and hardware. The Q99 is based on a compact highly efficient Class-H design. Delivering 2 x 900 W @ 4 Ohms and 2 1500 W @ 2 Ohms the Q99 can deliver as combined top & sub drive for most club-sized systems such as Tour X or QRx. 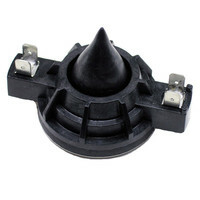 Replacement high frequency diaphragm for Electrovoice SX300. A powerful step up from the ELX112P the 15″ woofer and 1000 W amplifier in the ELX115P deliver extended lower frequencies and room-filling volume. The Sx300E with 300-watt continuous – and 1200-watt peak – power handling is the worlds best lightweight high-power speaker system. It delivers over 125 dB continuous with 131 dB peaks (one-watt /one-meter) at full power. Its 65 degree x 65 degree Constant Directivity horn allows for vertical or horizontal use with identical coverage. The quest for an affordable subwoofer that is compact lightweight AND powerful is finally over. The Electro Voice R300 Rackmount kit works with RE2 FMR500 SAFE1000 and other older 1/2 rack receivers. 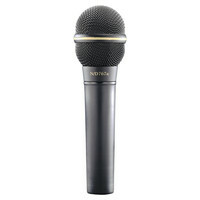 The Electrovoice RE410 Handheld Condenser Microphone. Smooth response with dynamic range outstanding for virtually any application especially vocals. Featuring custom drivers housed in a breakthrough cabinet design the compact and versatile Passive ZLX Loudspeaker makes Electro-Voices legendary sound quality and rugged reliability more accessible than ever before. Take a listen to the ZLX and hear the difference for yourself. The Electro-Voice ZX1 is the new standard of no compromise audio performance and versatility for compact sound reinforcement. The R300 a breakthrough wireless microphone system that opens up a brand new category in todays wireless marketplace – Entry-Level Professional – and brings world-tour-proven Electro-Voice wireless technology to a new more accessible price point. This combination of value professional features and road-ready ruggedness make the R300 a perfect choice for a wide rangeof wireless applications from live vocals and instruments to professional presentations. Unique features like One-Touch ClearScan and EZsync make the R300 quicker and easier to set up and use than any other similarly priced wireless system while its rack-mountable metal receiver sturdy metal bodypack and handheld transmitters and remote-mountable antennas are of a build and performance quality usually reserved for higher-priced professional products.